The next generation of Peranakan culture lovers! A group of budding Japanese artists recently produced some gorgeous work in a private printing workshop. With English up their sleeve, these kids may well be future ambassadors for Peranakan culture in ways we can't imagine. Also a mother, I love seeing the confidence and sense of wonder on my kids' faces when we do art together. 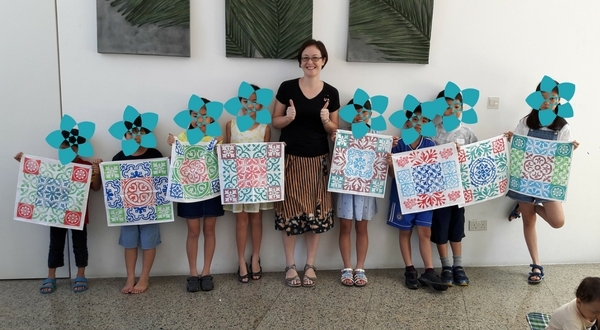 I recently held a private workshop for parents and kids to learn some Peranakan inspired printmaking. It was lovely to see parents designing and creating with one or even two of their children!